You have your million-pound idea, your finances in order and a structured business plan. So, what could possibly go wrong with the launch of your new business? The answer is, probably a lot. Which is completely normal, as all new business owners should expect a range of highs and lows during the start-up of their new company. To offer a helping hand with your new business venture, we spoke with a range of successful entrepreneurs and experts, who shared their experiences with us and the lessons they learnt along the way. When creating your business, you will more than likely become very protective, after all you don’t want anyone to steal your idea. However, this could be very damaging for the growth of your business. Collaborating and networking with other business owners will more than likely improve your business and give you like-minded people to bounce ideas off. David Mercer, best-selling author of programming, web and business books and founder of SME Pals. 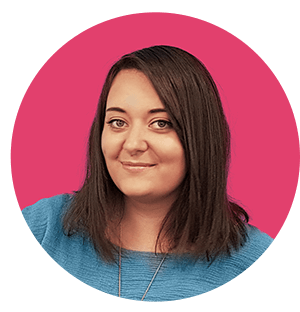 Sophie Livingston, freelance copywriter nearing the end of her first year in business. You may think that you know what your unique selling point is but your customers may buy into your services for a completely different reason, which will mean that your marketing efforts may not be focused at the right audience. Therefore, it’s vital that you properly understand what your USP is and why your customers are buying into your product and/or service. Bryan Clayton, CEO and Co-founder of GreenPal. When first launching your business, marketing may not be at the top of your list. You’re probably too concerned about making a profit to put aside a budget for marketing, but this could be a huge mistake for your business. How will people know who you are? You don’t need to spend massive amounts on marketing when you first launch but it’s vital that you do market your services. Antony Vitillo owner of the VR blog The Ghost Howls. Elizabeth Minei CEO and Founder of Eminei Consulting. Confidence is key when becoming a business owner as you will want investors, business associates and customers to believe you and your services. However, when launching a new business, it’s wise to not become too overconfident with your products that you forget about the small stuff. Even though it’s easy to become excited about launching your product, the more mundane tasks are very important. Lori Cheek Founder/ CEO of Cheekd. When it comes to launching your business, a lot of your energy and time will naturally go into bringing your idea to life and making it a reality. Consider the customer’s problem and how you can solve it with your idea. This way of thinking can help when it comes to marketing your product/services. Craig Bloem, Founder and CEO LogoMix. Eric Anthony, Founder of StreamingObserver.com. Don’t Try To Do Everything Yourself, But Ensure That You Pick Your Team Carefully! When launching your business, it will probably be difficult at first employing staff for the first time, especially for big jobs such as dealing with the finances and business plans. Therefore, take your time when picking your team members and ensure to interview a range of people. Ultimately, you need to ensure that you can see yourself working every day with the people you choose for your team, plus, it’s also wise to hire someone who balances out your strengths and weaknesses. Elijah Masek-Kelly, Managing Director for PowerfulOutreach.com. Rashmi Melgiri, COO & Co-Founder of CoverWallet. We hope you’ve found this blog post inspiring and we wish you the best of luck with launching your new business. If you’re looking for further information on starting a business read our previous post on 12 things to do in the first three months of starting a business.